If there’s one thing that 2019 has been marked by, it’s abortion. As previously reported by For Every Mom, the leading cause of death in 2018 was not cancer or suicide, malaria or even car accidents. It was abortion. Globally, abortion claimed the lives of over 42 million people last year — more than all other causes of death, combined. Just days after those numbers were released, legislators in the state of New York signed a bill that will now allow women to abort a baby through the third trimester. Several pro-life activist groups are calling abortion “the social justice cause of our time.” And staying on trend with the cause brings us a film that’s garnered a lot of attention in the media recently for its efforts to expose Planned Parenthood and save the unborn. “Unplanned” is the newest movie filmed and produced by Christian media company, Pure Flix. It’s based on the true-life story of Abby Johnson, a former Planned Parenthood clinic director who quickly rose through the ranks and made a name for herself as an activist for women in crisis. In her eight years with the organization, Abby became increasingly disturbed by the things she witnessed. Still, she pressed on with her life mission, which she believed was to decrease abortions and care for the women who entered her clinic. The Christian movie has already drawn a lot of attention prior to its release date after receiving an R-rating from the MPAA, meaning anyone under the age of 17 is not permitted to enter the theater without an adult. Last night, I had the privilege of seeing “Unplanned” with some of my closet girlfriends. Here’s what you need to know. Going into “Unplanned,” I wasn’t totally sure what to expect. Having seen headlines on my newsfeed, and reading the brief description my friend had sent me, I knew it was a Christian film about abortion, and there had been a lot of controversy over it being given an R-rating (for what I assumed to be a scene or two that showed an abortion). But I hadn’t watched the trailer, or really looked into anything further than what I had scrolled past. I was excited, anticipatory, and extremely aware of my surroundings — something I think really caused me to reflect throughout the movie. I knew that this was no ordinary film, nor was it a secular, watered-down version of something our society has normalized and adopted as reality. It was a movie about one of the most horrific things that I have the duty to write about on this website, both as an editor and as a woman who believes ALL lives have purpose. Within just the first few minutes, things were intense. We met Abby, her husband Doug and their young daughter as Abby headed off to work at a job she adored — being the clinic director of Planned Parenthood. 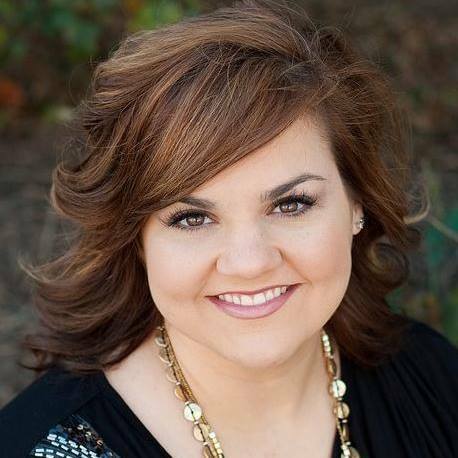 It’s on this particular day at work, just  minutes into the movie, that the audience gets a first-hand look at the horror that changed the trajectory of Abby Johnson’s life. It was graphic but dignified. “Unplanned” aims to show what abortion is, and it did not take that responsibility lightly, nor did it shy away from the utter horror that abortion is. But hear me when I say, they portrayed this gruesome reality extremely well and as tastefully as possible. As I sat there in the dark theater, cautiously watching this unborn baby fight for its life, I couldn’t help but think about those I was with. To my left was Lynn, and to her left was Bri. Both are eight months pregnant with precious babies growing strong inside of them. My heart hurt as I thought about the fact that the two babies sitting next to me — the ones kicking and rolling around in my friends’ wombs as we sat in that theater — could legally become that baby on the screen in the state of New York (under various loosely defined circumstances). I thought about how in my very own state of Virginia, there are lawmakers who believe Lynn and Bri’s babies should be legally “eligible for abortion” until the minute they take their first breath next month. And then I thought about how God has perfectly created them in his image. Those babies next to me, and the one on the big screen — they were created on purpose BY God and FOR God in all of His sovereignty. And yet our broken world says they are nothing but a cluster of cells. After enduring the horror that completely broke Abby, we got to learn about the years and events that led up to that fateful moment. Like many pro-choice activists, Abby believed that Planned Parenthood was FOR women. She was sold out for promoting safe policies that improve the sexual and reproductive health of women and families, in an effort to decrease the need for abortion. Abby’s journey included two abortions of her own, which she “stuffed in a box, bolted shut, and tucked away in a deep corner of [her] soul,” never to be opened again. I thought about the droves of women who are carrying around this same weight, living slaves to the shame and condemnation they feel for aborting their child. My heart hurts to think about how many women just like Abby, have never been given the opportunity to see their baby before abruptly stuffing its memory away. Pro-choicers will say it’s a matter of “what’s best for the mother.” A true statement of the one who is an imitator of light, and a tough pill Abby was forced to swallow at the end of her career. In her eight years with Planned Parenthood, she had been compliant to over 22,000 abortions. But God’s redemptive power is the real show stopper here. Abby’s journey with abortion didn’t end the day she walked out of Planned Parenthood. In fact, I’m sure it could be argued that her journey had only just begun. In the years since Abby learned the truth, she’s worked to help save the lives of thousands of unborn children. Her ministry, And Then There Were None, has assisted over 500 abortion clinic workers out of the abortion industry. As we left the theater, and the eight of us debriefed about the two hours we’d just experienced, Lynn said something that struck me. She said that at the beginning of the movie, in all of the chaos and intensity that was unfolding in the abortion scene, she asked God what He wanted her to know about this. That was probably my biggest takeaway as I reflected on my drive home. “Unplanned” isn’t about politics or division. It’s not about “the left” or Planned Parenthood. It’s ultimately about something that breaks God’s heart. And isn’t that what we’re called to as Christians? The Lord breaks our hearts for what breaks His. I pray that this movie radically transforms lives through this heartbreak. I pray that it reveals the truth to someone who is questioning their next steps and offers support to those who have been there. And I pray that there would, in fact, be an end to abortion. That every unborn child would be given a chance at life, and that as believers we would commit ourselves to [bring] them justice. “Unplanned” hits theaters everywhere Friday, March 29.